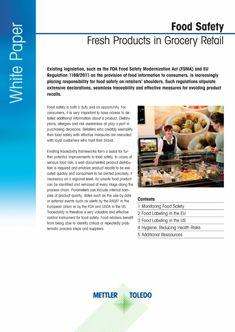 Existing legislation, such as the FDA Food Safety Modernization Act (FSMA) and EU Regulation 1169/2011 on the provision of food information to consumers, is increasingly placing responsibility for food safety on retailers’ shoulders. 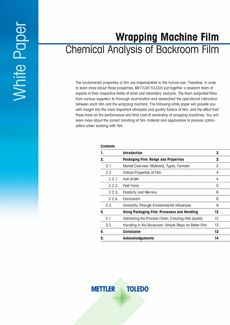 Such regulations stipulate extensive declarations, seamless traceability and effective measures for avoiding product recalls. Food safety is both a duty and an opportunity. For consumers, it is very important to have access to detailed additional information about a product. Dietary plans, allergies and risk awareness all play a part in purchasing decisions. Retailers who credibly exemplify their food safety with effective measures are rewarded with loyal customers who trust their brand. 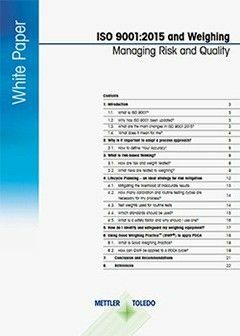 Our free white paper provides clear and useful information on the roles and responsibilities that grocery retailers serve in the food safety chain. When it comes to ensuring the safety of food products, traceability is an important instrument. Food retailers rely on documentation about internal and external processes in order to preclude risks. Traceability offers retailers better food safety, reinforces their brands and strengthens customer loyalty. New opportunities and optional measures for improving food safety emerge along the process chain. 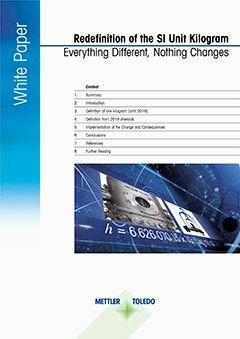 White Paper explaining the background of the 1kg redefinition and the effect this change will have on the weighing world. 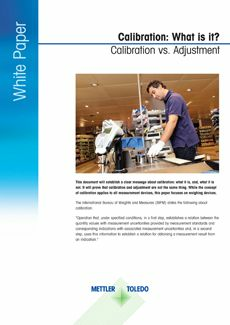 This document will explain calibration: what it is, and, what it is not. It will prove that calibration and adjustment are not the same thing. 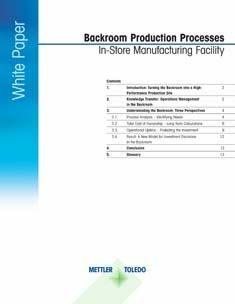 METTLER TOLEDO presents lean manufacturing principles that can be applied in the meat backroom to streamline processes and increase efficiency.